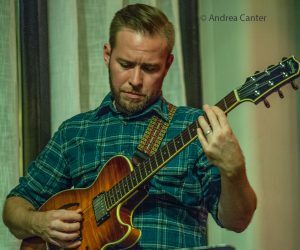 The Friday late night jazz series in the Dunsmore Room of Crooners Lounge continues this week (February 9) with the venue debut of the JC Sanford Quartet. 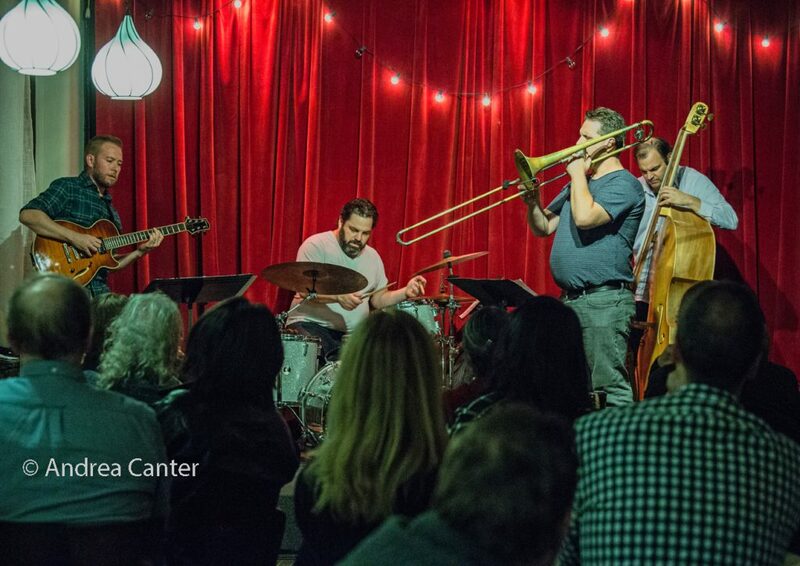 Led by trombonist/composer Sanford, the quartet features Zacc Harris on guitar, Chris Bates on bass, and Pete James Johnson on drums. 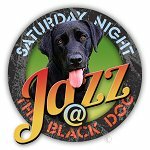 Music begins at 9 pm with open seating. 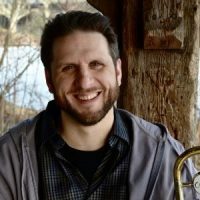 Minnesota native, trombonist/composer/conductor JC Sanford headed to New York after completing graduate studies at the New England Conservatory, figuring he would stay a year or two. 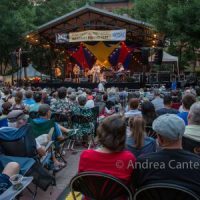 In summer 2016, sixteen years later, Sanford moved his family back to the Midwest, settling in Northfield just in time to celebrate the release of his New York quartet’s CD, Can You Believe It? After his East Coast release at Shapeshifter Lab in New York, he returned to Minnesota where he quickly became a busy performer, bandleader and educator. A protégé of legendary composer Bob Brookmeyer, JC studied at the University of Northern Iowa and completed doctoral studies at the New England Conservatory. Moving to New York in 2000, he became involved with the BMI Jazz Composers Workshop under the direction of Manny Albam and Jim McNeely and remained trombonist/contractor of the BMI/New York Jazz Orchestra until 2016. 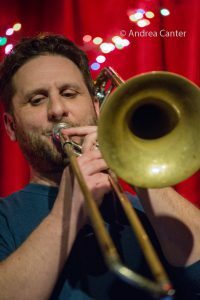 He has also appeared as a trombonist on recordings with such diverse bands as Andrew Green’s Narrow Margin, the Andrew Rathbun Large Ensemble, Nathan Parker Smith’s jazz/prog rock big band, and Joseph C. Phillips, Jr.’s new music/jazz hybrid orchestra, Numinous. 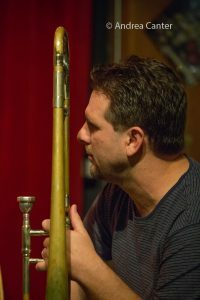 JC’s compositions have been performed by leading artists such as John Abercrombie and Dave Liebman and he has built a reputation as conductor of large ensembles, including the John Hollenbeck Large Ensemble, Alan Ferber Nonet, Alice Coltrane Orchestra and his own JC Sanford Orchestra. The JC Sanford Orchestra’s album, Views from the Inside, received worldwide acclaim as well as a coveted recording grant from the Aaron Copland Foundation. JC also wrote, performed and conducted a score to accompany the 143-minute 1927 silent classic Ben Hur for the Syracuse International Film Festival, including the film theme “Forest Hills” which now appears on Can You Believe It. He also curated a weekly large ensemble series (“Size Matters”) at the Tea Lounge in Brooklyn in addition to leading his orchestra, quartet and trio. Of his return to the Midwest, JC notes that “We have a 2-year-old daughter and I went to school in Northfield, and my mom still lives there. New York kind of wore us out, and so we decided we’re going to go somewhere, and that seemed like a really good option. I had a few connections to the Twin Cities music scene. It just seemed like the natural thing to do.” And he’s wasted no time jumping into the local jazz scene, adding his trombone to Chris Bates’ Red 5, performing with his quartet, and launching a Minnesota edition of his trio, Triocracy. And he recently joined forces with wife and composer Asuka Kakatani to debut the Inatnas Orchestra at the Black Dog in December, a 17-piece ensemble playing original music. A native of southern California, Zacc Harris came to Minneapolis about ten years ago from Illinois, where he graduated from Southern Illinois University. 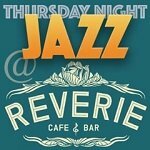 Here he formed the Luminessence Trio (now Zacc Harris Trio), continuing weekly gigs at the Riverview Wine Bar. Zacc also leads his Quartet, Atlantis Quartet, Vital Organ, the Zacc Harris Group, and American Reverie; performs regularly with Dean Granros’ Tall Tales, the Babatunde Lea Quartet, and Adam Meckler Quintet, and teaches at Hamline University as well as private guitar lessons. He’s also curated the Jazz at Studio Z series for five seasons. 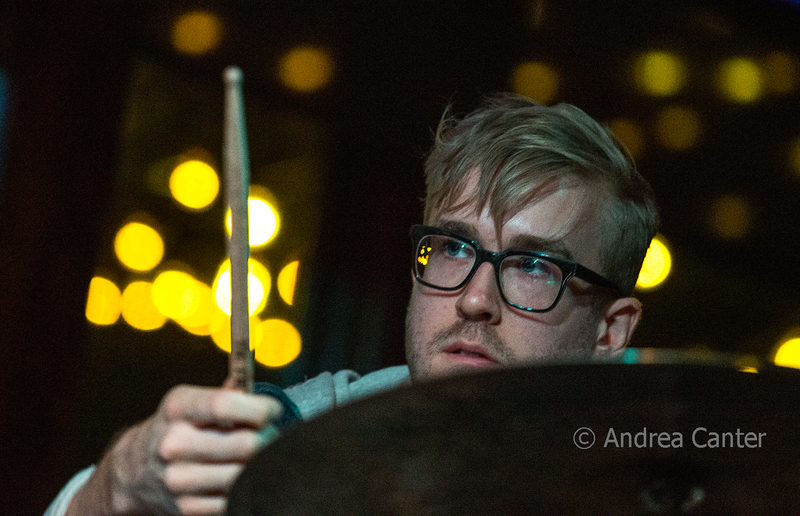 Chris Bates and his brother, drummer JT, grew up with jazz, sons of trumpeter/bandleader Don Bates. He began bass lessons in 4th grade and progressed to jazz studies at the University of Wisconsin-Eau Claire before returning to the Twin Cities to study with Anthony Cox. A member of the 1990s ensemble, the Motion Poets, Chris was a 1999 McKnight Composer Fellow and in 2014 was awarded a commission from local new music ensemble Zeitgeist. 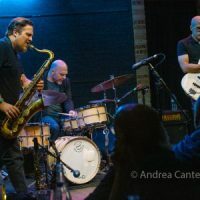 He often lends his compositions to the many ensembles that he juggles throughout his busy performance schedule–including the Atlantis Quartet, Framework, Leisure Valley, Tall Tales, Red Planet, and his own Good Vibes Trio and Chris Bates’ Red Five. He also curates an new music night monthly at Jazz Central Studios. Drummer Pete James Johnson is a Central Minnesota native and graduate of Minnesota State University at Moorhead who recently returned home after spending time working and studying for his Master’s Degree in Los Angeles. His credits include working with the Bob Mintzer Big Band, Russell Ferrante, Alan Pasqua, and Ambrose Akinmisure. In the Twin Cities he has led a number of ensembles including his trio, quartet, and the Basement Society, and has performed with Andrew Walesch, Adam Meckler, Nelson Devereaux, the Nexus Ensemble, Debbie Duncan, Pippi Ardennia, Joe Mayo, and more. 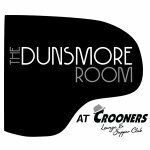 The Dunsmore Room at Crooners Lounge is located at 6161 NE Highway 65 in Fridley, just north of I-694 and about 15 minutes north of downtown Minneapolis. Reservations (general seating) at www.croonersloungemn.com. The Friday Late Night jazz series in the Dunsmore Room is curated by Zacc Harris.